I have a feeling you’re going to read a lot of mixed reviews on Fantastic Beasts: The Crimes of Grindelwald. 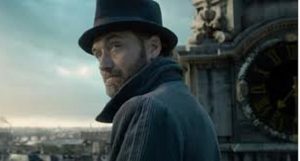 I went because I am a true Potterhead, because I LOVED the first Fantastic Beasts movie, because I have a longstanding crush on Jude Law (shhhhhh…don’t tell him…), and because I was curious to see Johnny Depp as Gellert Grindelwald. Had those reasons been what I based the entire movie on, I would probably say J.K. Rowling and David Yates didn’t disappoint and this was a solid addition to the Harry Potter franchise. HOWEVER – AND I CAN’T STRESS THIS ENOUGH – THE CRIMES OF GRINDELWALD WAS NOT JUST A SOLID ADDITION…THIS WAS A MASTERPIECE FOR THE TRUE HARRY POTTER FANATIC. And I give the credit for that to our beloved J.K. Rowling. The absolute highlights of this movie were the twists and turns of the story that were both unexpected and a dream come true for anyone who’s been living in this land of magic for the last couple of decades. 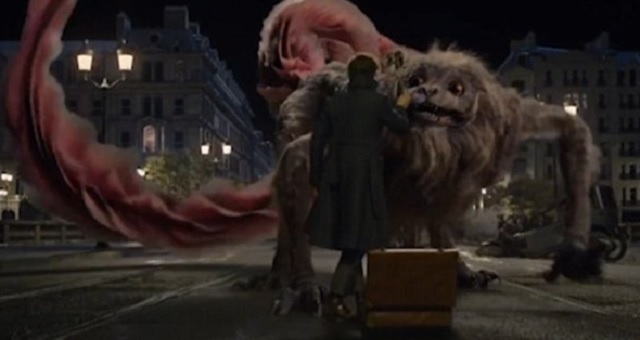 This was as a Fantastic Beasts movie, so what would it be without some jaw dropping beasts. With the return of some of our favorite characters, we also saw the return of a few of our favorite beasts; most notably Pickett (still so cute!) and the adorable little Niffler. 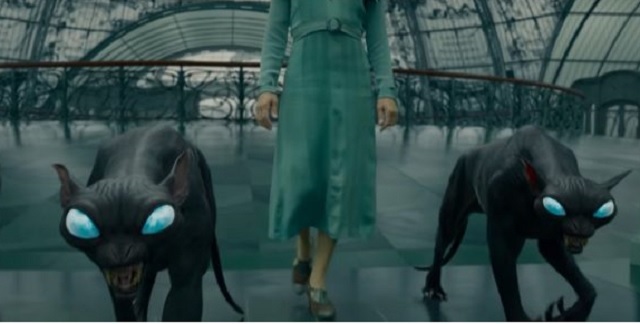 But of the newest beasts to be introduced via The Crime of Grindelwald, I have to put my votes for the best with the litany of cats that we saw. The spirit familiars that work in the French Ministry. You know how kittens like to wake you up by pouncing on you in the middle of the night? Please, for the love of all that is holy, never let one of these come anywhere near me in the middle of the night! At first sight I thought this giant Chinese cat(ish) creature was going to be something to fear. Nope, by the end of the movie he was snuggling on Newt like a lovesick kitten and winning my heart. Why do you go see any sequel? 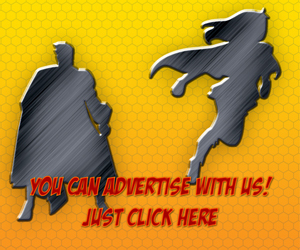 Because you already love the characters in the preceding movies in the franchise. 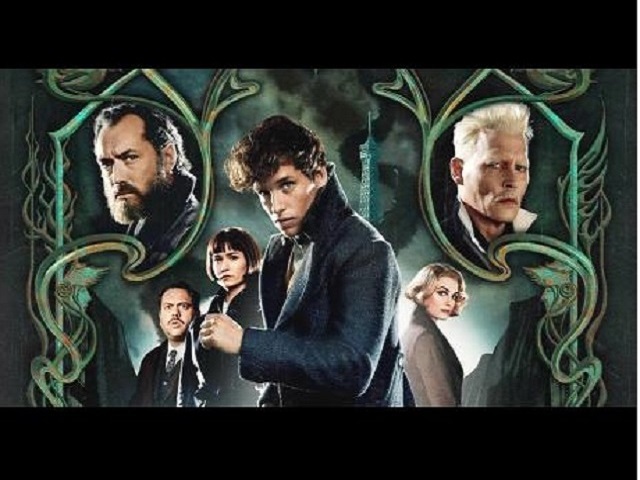 Here’s where my review of The Crimes of Grindelwald goes a little to the “meh” side. They were good. Newt Scamander (Eddy Redmayne), Tina Goldstein (Katherine Waterston), Jacob Kowalski (Dan Fogler) and Queenie Goldstein (Alison Sudol) were all back and as adorable and magical as ever. However, to me, their story lines took a back seat to the rest of the movie and didn’t add much to my enjoyment of the movie in general. 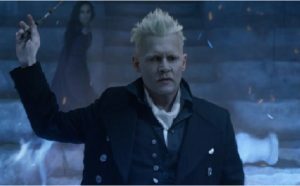 You all wanted to see Johnny Depp as Gellert Grindelwald. He was great; as he always is. In true Johnny Depp style he took the character and pulled out all the stops in making him as dramatic as possible. A solid portrayal of a solidly built villain. Obviously I couldn’t wait to see Jude Law as Albus Dumbledore. One of my favorite actors as one of my favorite literary characters? YES! And I was not at all disappointed. Jude Law had that special twinkle to his eye and complete lack of regard for his proteges that we’ve come to know and love. I honestly can’t think of a better actor to have taken on this part…and, yet…still not the best part of the movie to me. As for the character that truly won my heart: Leta Lestrange. 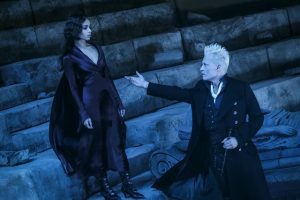 Zoe Kravitz did an amazing job of capturing the mixture of bad girl we’d expect from the Lestrange family…the sad woman who is at war with that side of herself and her good side…and the Sirius Black-ish (of the same Black/Lestrange line) way in which she gives her life to try to save the ones she loves. DID I MENTION THERE’D BE SPOILERS? 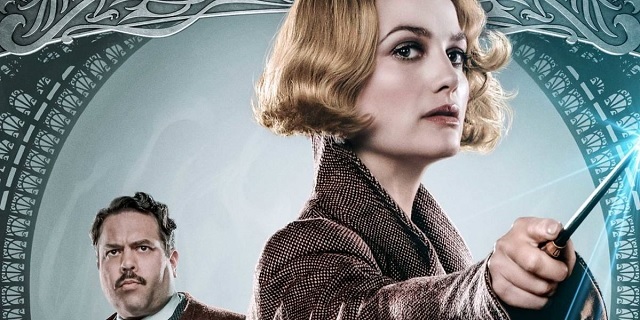 With her line of, “You never met a monster you couldn’t love.” to Newt and her parting, “I love you.” in the direction of both of the Scamander brothers…one is left wondering which brother she truly loved, if not both. The first of these moments in the Crimes of Grindelwald was the introduction of Nagini. That’s right, Nagini was a girl. A girl with a curse on her that made her turn into a snake and that one day would force her to become that snake for good. 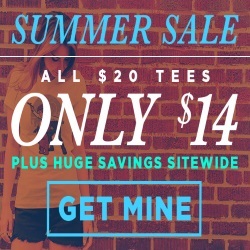 I NEVER saw this coming! Kudos to J.K. Rowling for that little twist to a character that was nothing more than a pet to Voldemort in our earlier introductions to her. 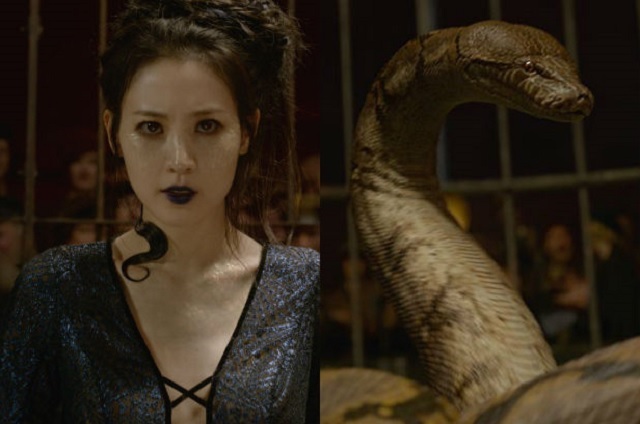 Claudia Kim played this part so well that we forget that Nagini becomes a pawn of evil in the future and leaves us entranced by her as the girl she started out as. 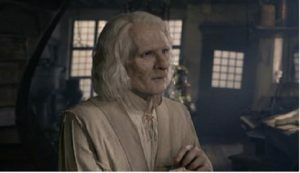 I never gave much conscious thought to WHO Nicolas Flamel was when we were introduced to him as an (absent) character in The Sorcerer’s Stone. However, in the back of my mind he was thriving and healthy. In the same story in which we were introduced to (the concept of) Nicolas Flamel, we also learned about the power of unicorn blood, which gives “a cursed life”, “a half life”. In my mind, the Sorcerer’s Stone gave a more full life. However, upon meeting the actual character, it appears to me that no immortal life is uncursed and full. In fact, when Jacob Kowalski visibly almost breaks the poor feeble man’s hand just by shaking it, one would wonder why Nicolas Flamel wanted such a life in the first place. However, he DID still help save the day in the end. This one made me sad. Queenie was such a sweet character in the first movie, and she continued to be sweet in The Crimes of Grindelwald. However, you can see her frustration with being in love with a No-Maj (In case you’re not familiar with that phrase) begin to grow. First when she enchants her beloved Jacob to convince him to marry her and then when she removes the enchantment and finds that he is not willing to budge on letting her lose everything in order for them to be together. Slowly, this frustration grows into resentment with the ways of her world…until…NO!!!!!!!! She joins Grindelwald in a belief that his view is the way that can change things. AND FINALLY – THE BIGGEST SPOILER – STOP READING NOW IF YOU HAVEN’T SEEN THE MOVIE!!!! 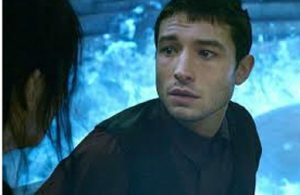 If there was one main plotline to the entire movie, it was this: “WHO IS CREDENCE BAREBONE?? ?” We follow him to Paris where he is in search of his true family; watch him fall for Nagini; watch him search and search…until it appears that he is going to find that he is the brother of Leta Lestrange (believed to be dead)…and then they break it to us. Leta’s brother DID die and Credence is no relation to the Lestrange’s at all. Oh, we find out alright. 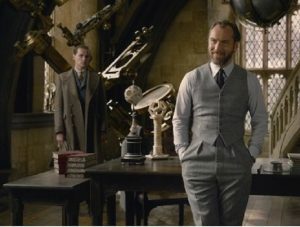 In the final scenes of the movie it becomes clear that Grindelwald really did know all along who Credence was. 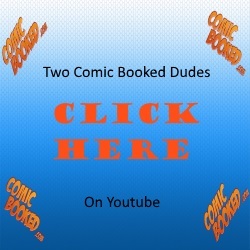 The heretofore unknown…and still completely unbelievable…THIRD DUMBLEDORE BROTHER, AURELIUS! Don’t believe it? I wouldn’t either, had it not turned out that the baby raven that Aurelius thought he’d been nursing back to health was in fact…a phoenix. The flaming bird that we automatically relate to Albus Dumbledore. The bird that, apparently, all Dumbledores have the ability to call on when in need. And now I can NOT wait to see what comes next. So, as I mentioned at the beginning of the review, the movie I went to see I would have given a 3.5 stars. The story of the characters I thought I was going to see was good, but not great. Those characters were slightly lackluster for what I have come to expect from the Harry Potter franchise. HOWEVER, with the twists and turns and the story that J.K. Rowling brought us? I give the movie a solid 4.5 star review and I can’t wait to see what happens in coming stories. 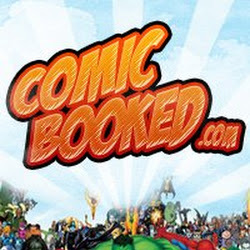 For past Comic Booked views on this franchise, check out this link.